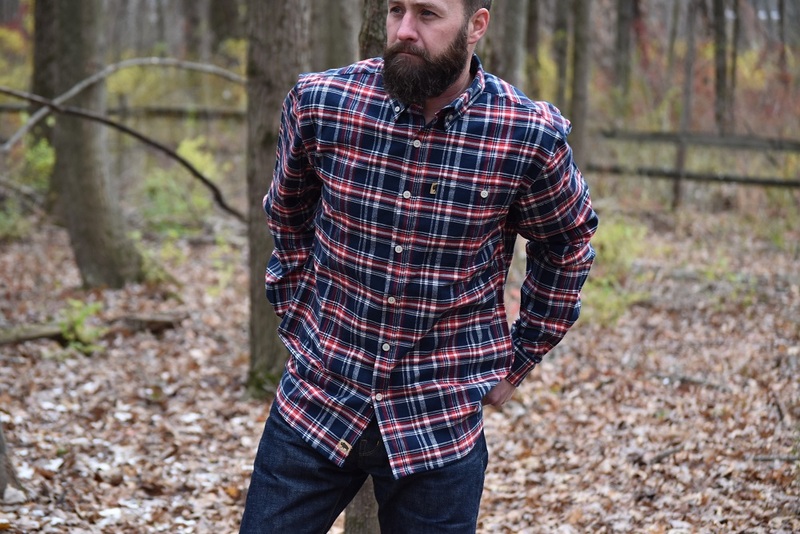 Whether you are still hibernating inside as winter comes to a close, or you’re heading outside to enjoy the first hints of spring, you need a proper flannel. The kind of flannel that you will own for years. The kind that breaks in and fits like an old friend. 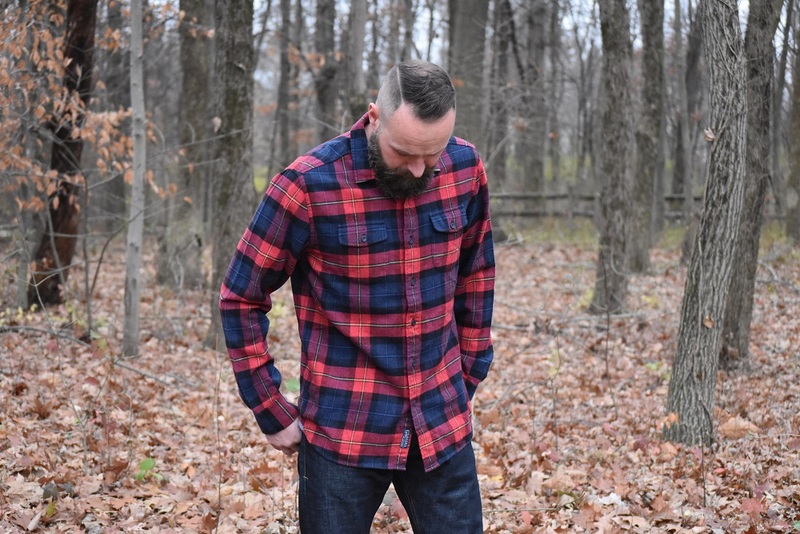 Besides our love of Katin, we’ve rounded up a few of our favorites that will keep you warm and help you properly rock that lumberjack vibe. Freenote Cloth is an independent family-owned company based in California that embodies heritage style. Started by brothers Matt and Andrew Broderick, it’s one of my top three favorite menswear brands hands down. They’ve got raw denim and workwear absolutely dialed in with a mix of rock and roll and that west coast vibe. 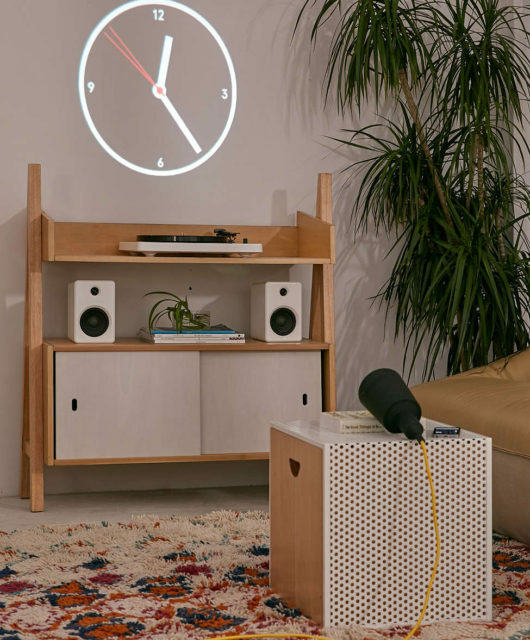 Freenote prides itself on manufacturing quality Made In The USA goods with materials sourced from the USA. Is it a little more expensive to manufacture, source, and sew everything in the USA? Probably. 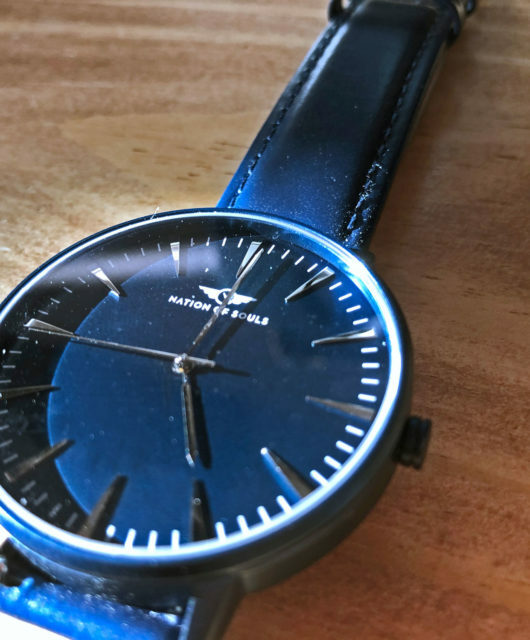 Is it worth it to pay a little more for quality? Absolutely. They guys at Freenote get that, which is why their customer service and care is a top priority for them. They pour their heart and soul into their craft and it shows. 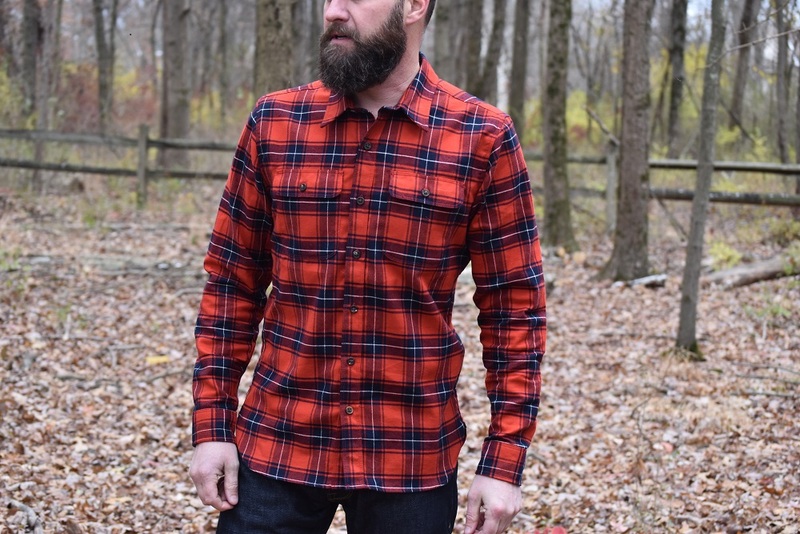 The Jepson Flannel ($210) is a classic red plaid shirt made of brushed gabardine cotton and features a double front pocket detail. This shirt is just too good. It has a double placket, custom horn buttons and double needle detail. The red color on this shirt is a show stopper and it fits like it was tailored specifically for me. This shirt is in a class by itself. Grayers was founded by Peter Georgiou, a 10-year Ralph Lauren veteran and history buff. While reading about British menswear in the 1950’s he learned that young men switched from wearing three-piece suits to gray flannel trousers, commonly known as Grayers. 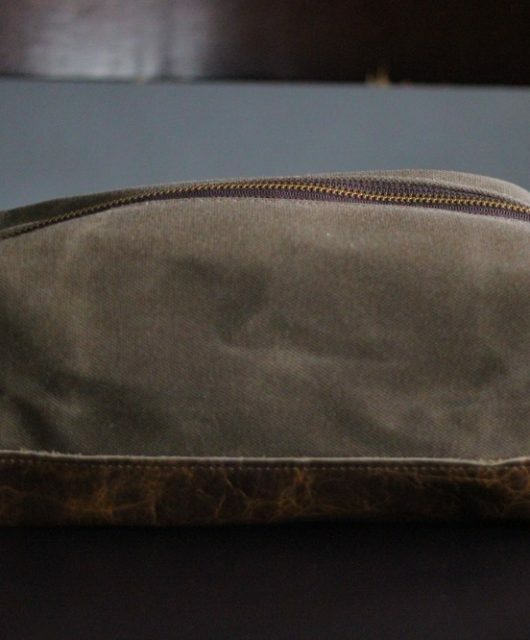 Eventually Grayers was the must-have in every man’s wardrobe from British society to American prep schools. 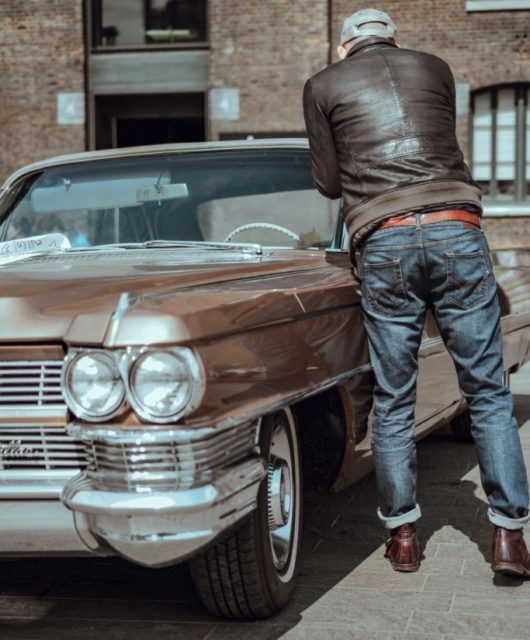 Peter created a brand that harkened back to British classics in casual menswear. He wanted it to be well-crafted with a great fit, good quality and reasonable prices. Each season he hunts down unique fabrics and textiles, as well as innovative ways to weave, knit, cut, and sew. In the end they design and weave their own fabric often starting with a vintage reference. He routinely combs through European and Japanese vintage shops and clothing archives to inspire their final designs, often with unique prints and plaids with off beat colors. 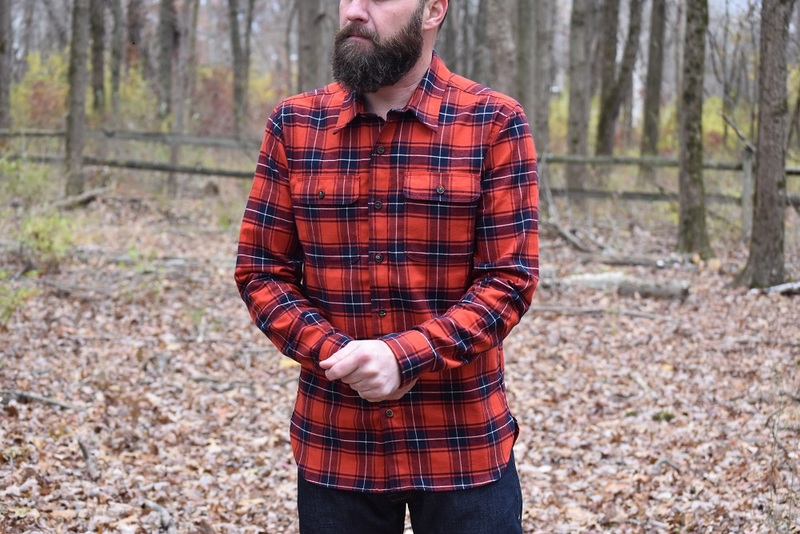 I snagged the Ludlow Jaspe Luxury Flannel ($98). 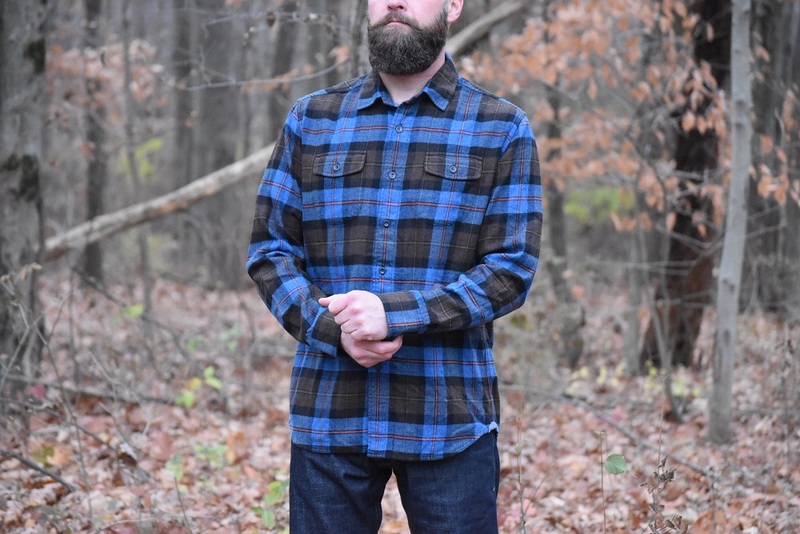 The Jaspe is a lighter weight 7 ounce 3-ply heather plaid flannel that’s woven with special jaspe yarns and sueded to perfection with a special weaving technique where several colors of yarn are blended to create depth and richness in blue, brown and black. Those color combos virtually match anything I am wearing. . 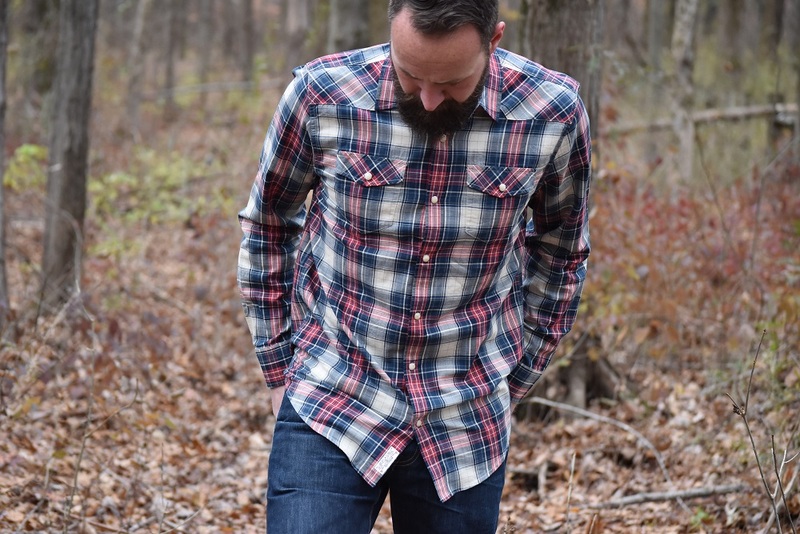 I also took the Culver Double Cloth Herringbone ($98) shirt for a spin. It’s their best selling double cloth shirt and is also super soft. It’s built with heather yarns into a double layer of lightweight fabric which is woven as one. It’s shown here in charcoal, gray, and royal blue. The fit and finish is great on this one and it really pops with a pair of dark denim. Flag & Anthem is a new brand that was started by a pair of Macy’s and Lord & Taylor buyers. They’ve snagged up fashion photographer and America’s Next Top Model judge Nigel Barker and named him artistic director of the brand. Flag & Anthem is currently being sold at Dilliard’s and Buckle as well as it’s own site. 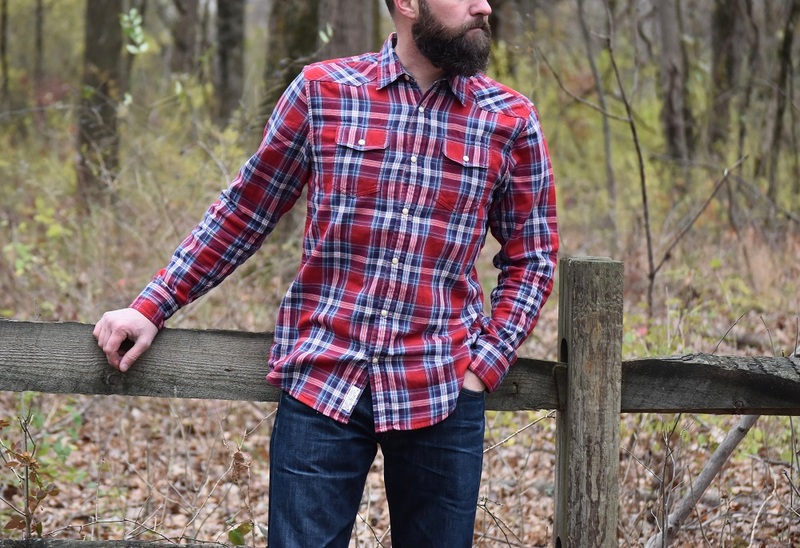 Flag & Anthem fills the post-college niche with affordable shirts and classic patterns. The shirts are casual and comfortable and give off a youthful vibe while maintaining the classic maturity that a plaid shirt gives you. They fit just right, not baggy but not tightly fitted either. 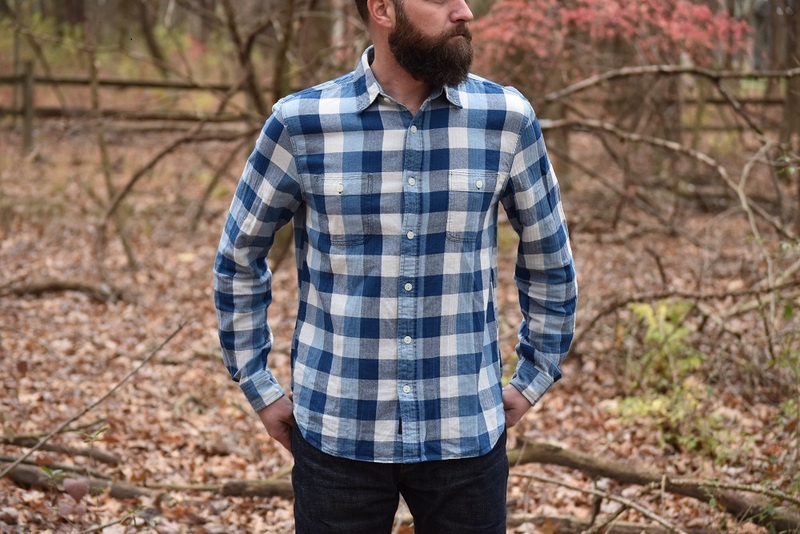 The Federalsburg Flannel ($35.70) has a modern classic buffalo check pattern that incorporates navy, red, white, and indigo. 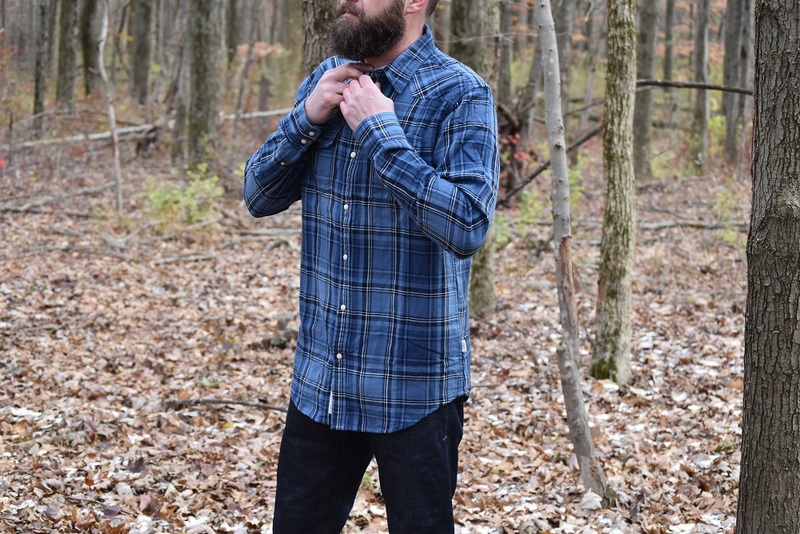 The brushed flannel features contrasting chambray collar and cuffs which makes the sleeves look most at home when they’re cuffed up. I also really like their double layer shirts which are pre-washed for a relaxed lived-in look and feel. They’re made of two lightweight fabrics with contrasting patterns. Once again, they look best cuffed and untucked to show off the secondary pattern. The pearl snap buttons almost give it a western look. Faherty is another west coast brand started by twin brothers Alex and Mike Faherty. The Flaherty’s and their brand have that uber cool vibe that falls somewhere between California surf and The Hamptons. Probably because two of their shops are in Malibu and Nantucket. 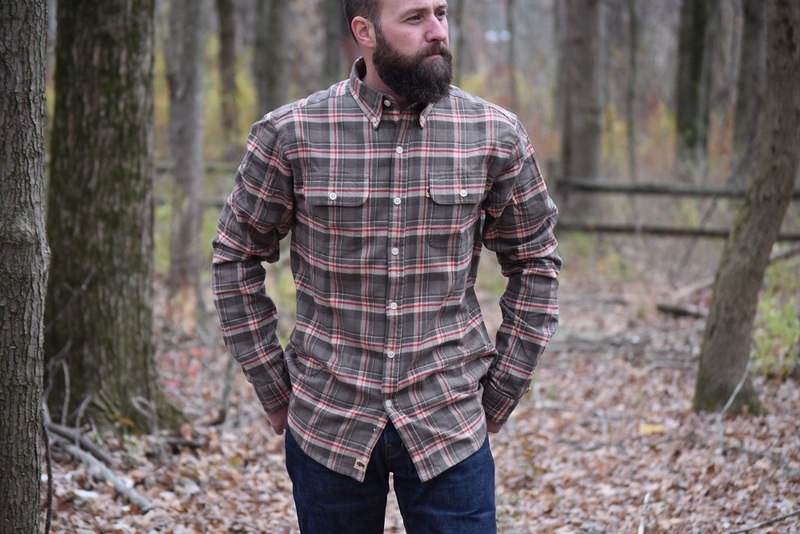 They develop each shirt from scratch starting with the cotton and working closely with the world’s best mills to make shirts that are both comfortable and durable. They are made using the ancient art of indigo dying so that they have that one of a kind appearance that only gets better over time. They have a great line of shirts for women that would make a great gift for your lady! I have the Seasons shirt in blue and cream ($98) and it’s the perfect weekender. I’ve worn the heck out of this shirt and it looks great. The natural indigo dye is what makes the blue really pop and gives it that vintage inspired look and feel. It has double needle reinforced seams and an open weave herringbone weave with chambray collar lining. Buffalo Jackson is a rugged company for manly men. Their motto is “Honor Your Wild” and their flagship store in Charlotte, North Carolina looks like an 1800’s cabin. It’s complete with a stuffed bison, photos of Theodore Roosevelt and Sitting Bull, old lanterns, a cigar humidor, antique steamer trunks, expedition grade leather bags, and just about anything else you’d need on your journey to manhood. I wanna live in it. One look inside their shop and you’d think it was run by old Teddy Roosevelt himself but the company was started by Xan Hood in 2009 on the belief that providing a clothing line that conjures up the rich images of our past would enrich our present. His line honors American tradition, camaraderie and character. 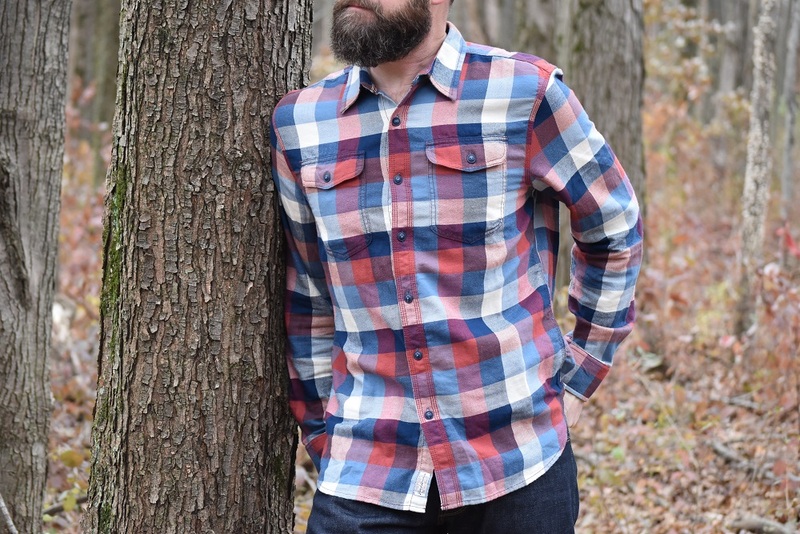 Buffalo Jackson boast the thickest flannels in our lot, the kind you’ll pass down to your kids someday. I was able to get one of their brand new Fairbanks Old Glory Flannels ($84.95) aptly named for it’s red, white and blue pattern. It’s a soft midweight 100% cotton flannel with one front pocket and a sweet carpenter pencil slot. I also picked up the Glenfield Flannel in Barnwood Plaid ($84.95) that has a great brown, cream and red pattern and two front pockets with button flaps. 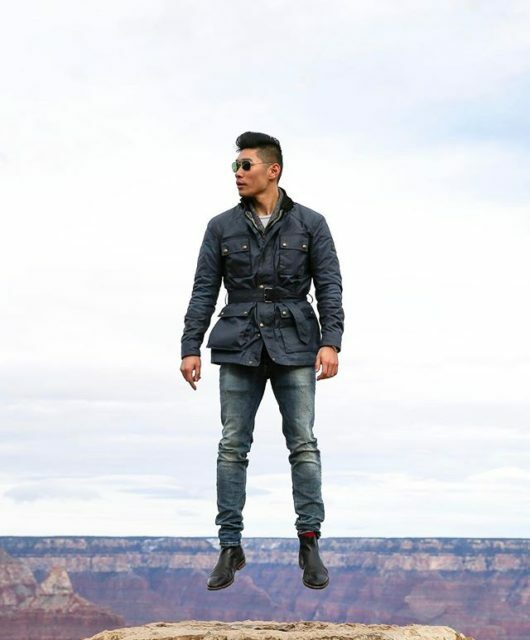 The brown is woodsy and perfect with a pair of brown heritage boots like the Red Wing Iron Ranger. 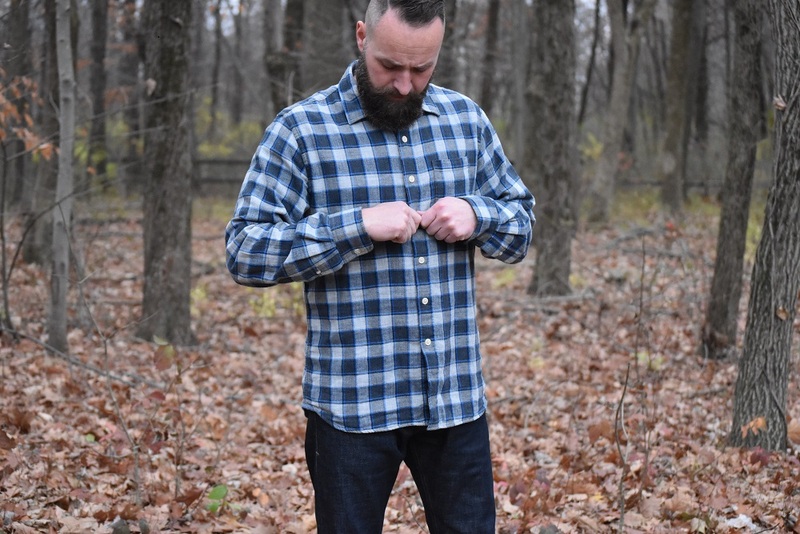 I love what Xan says about Buffalo Jackson flannels: “Some men seem to be on an endless quest for the ‘Goldilocks’ flannel – you know, the one that’s just right. Well screw the quest, just make a good, long lasting flannel and be done with it already. Is it the one? Probably not because, well, it’s a shirt. Now get on with living. You’re welcome.” Well played Xan, well played.